My first year teaching was not very pretty. I thought I knew how to manage a class, but I made some critical errors that left me in the situation every teacher dreads – standing in front of an out-of-control classroom. While I certainly don’t want to go back and repeat that first year, I’m very thankful for the lessons I learned. And once I learned from my mistakes and corrected them, the next year went much more smoothly. 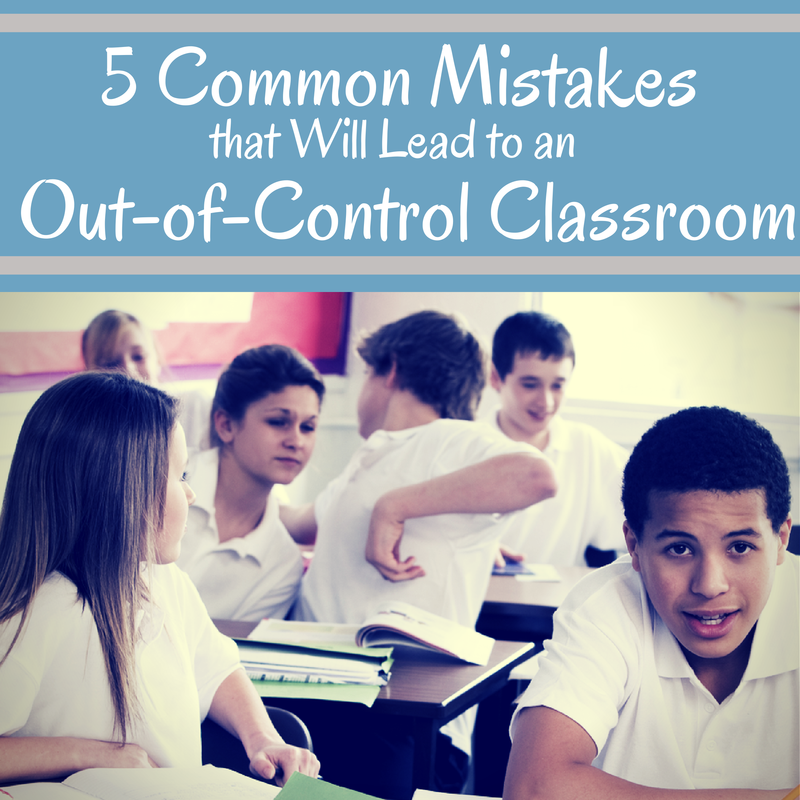 Effective classroom management can be challenging, and apparently I’m not the only one who’s made some mistakes because when I shared 5 common mistakes in a guest blog post on Corkboard Connections a few weeks ago, the post went viral. The key for all of us is to keep learning and growing. So I wanted to share the post with you Teach 4 the Heart readers so that you can avoid the same mistakes I did. Create Your Dream Classroom. In this book, I explain how I turned my disastrous first-year classroom into a well-established second-year classroom. And I show you step-by-step how you can experience the same transformation.